I finished up my Rugby Stripe Quilt this past week and have been waiting for a pause in the rain to snap a few pictures. 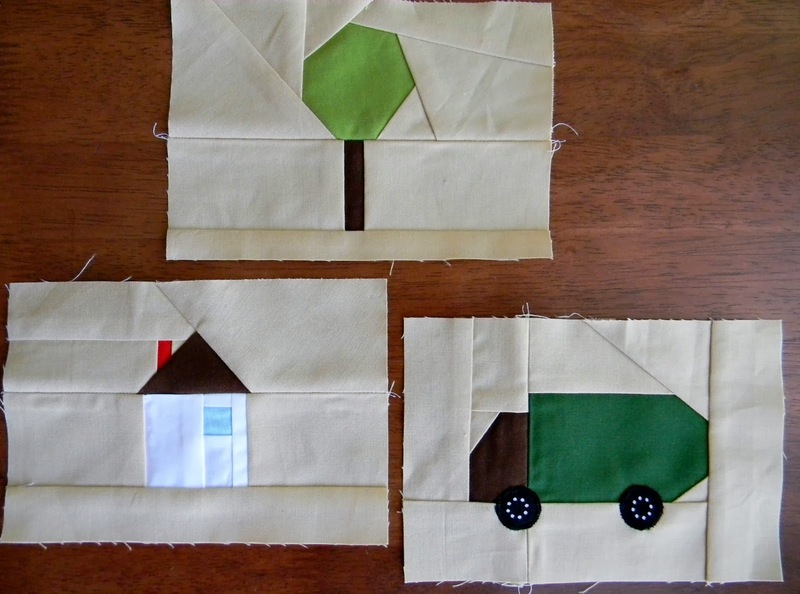 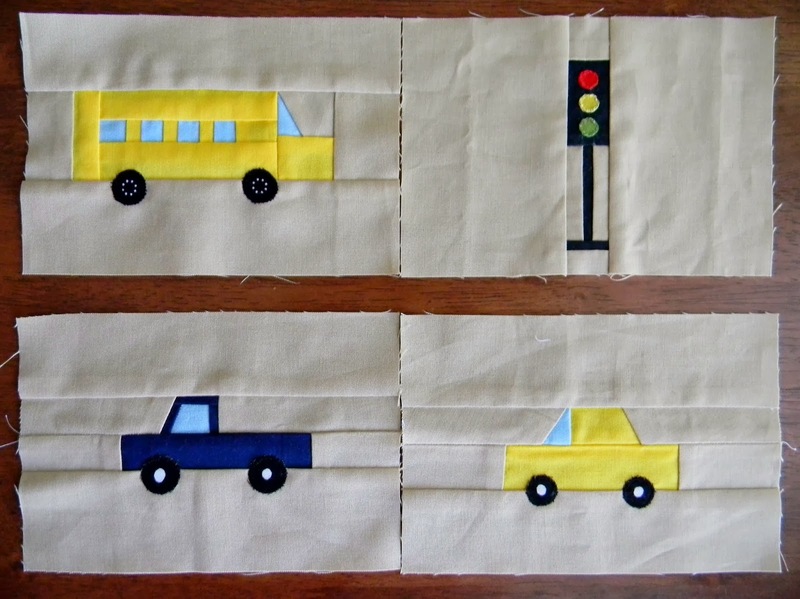 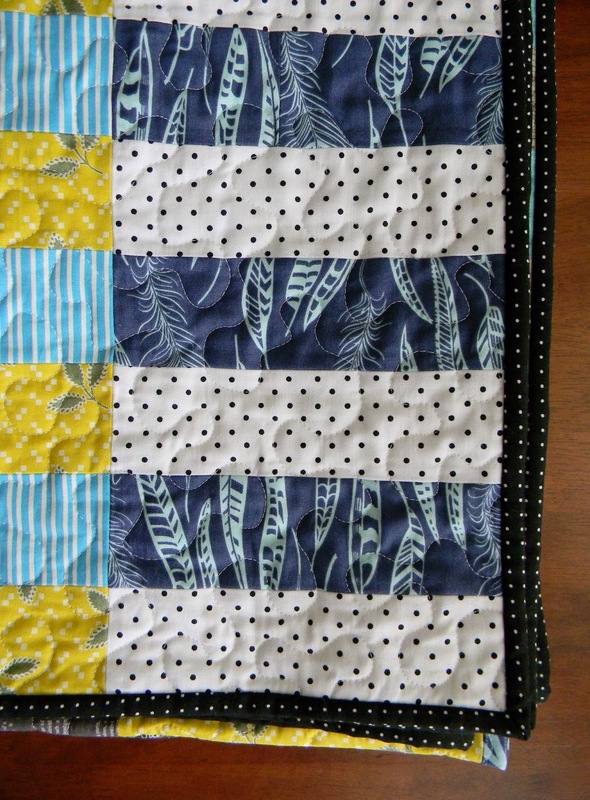 The color scheme and blocks were inspired by Samantha's blocks which she has now transformed into this unique sewing machine cover. I enjoyed working with the rather unexpected combination of chartreuse, navy, plum, aqua and black, and I was able to use up quite a few of my 2 1/2" scrap strips. 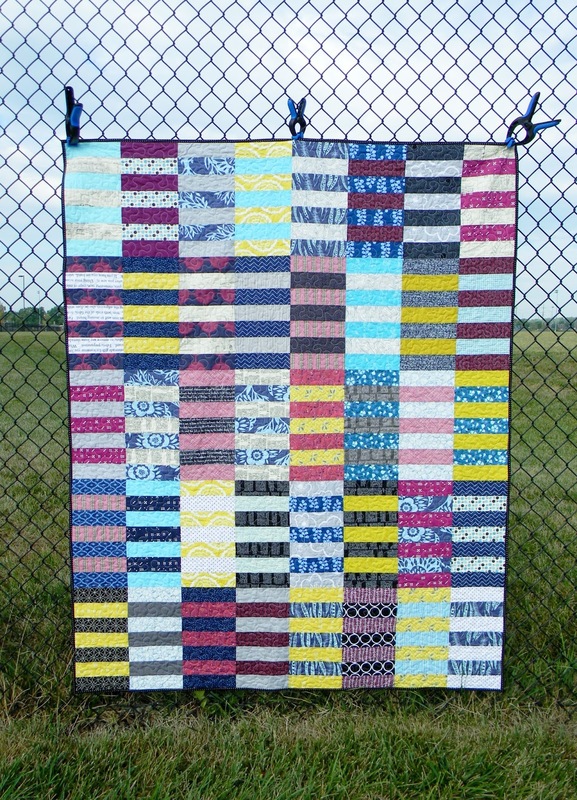 I made 40 Rugby Stripe blocks (you can find a tutorial for the block here). 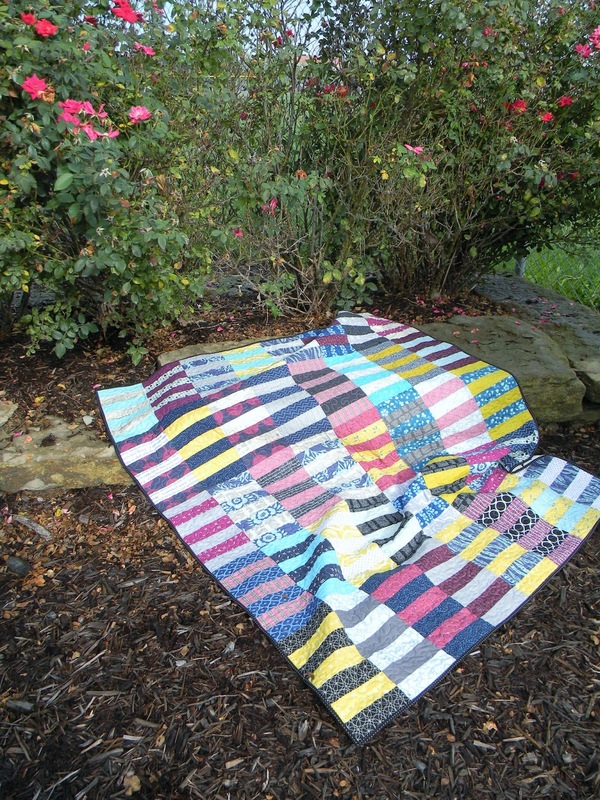 In this 8 x 5 setting, the quilt finishes at 56" x 70" which is a nice throw size. 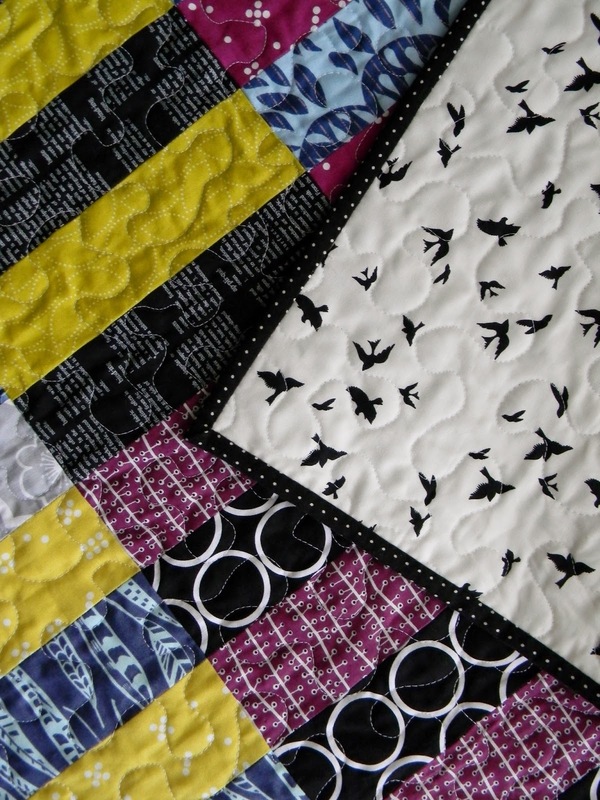 I love the bird print from Violet Craft's Waterfront Park line on the back. 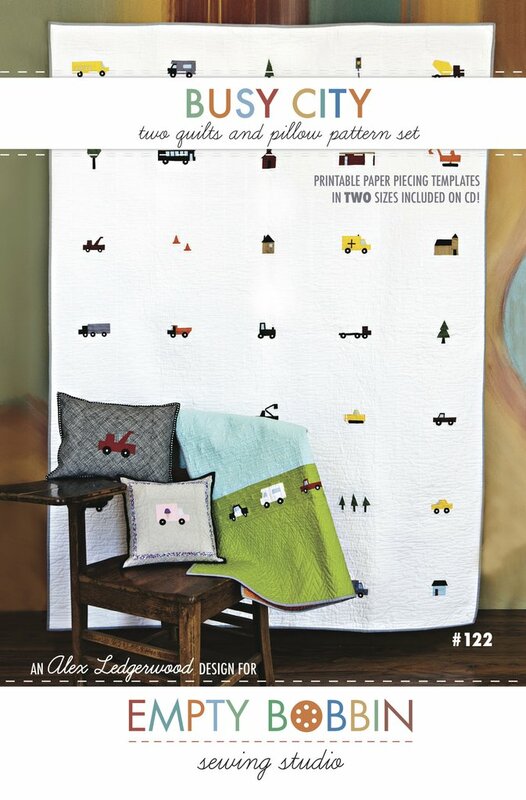 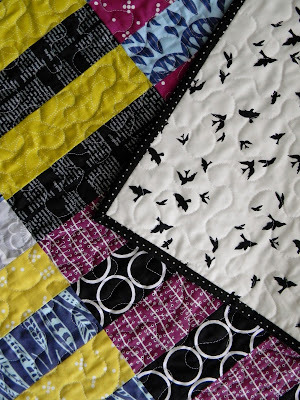 It's just the right scale, and the Comma dot binding frames the quilt nicely. 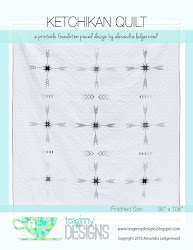 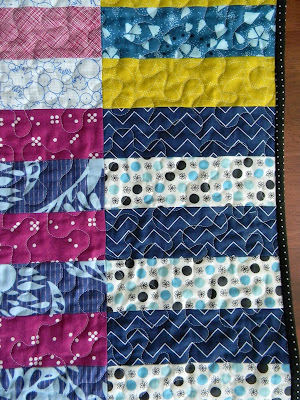 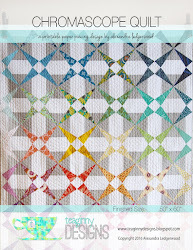 I quilted in a simple meander which I find to be a good choice for busy quilts like this one. 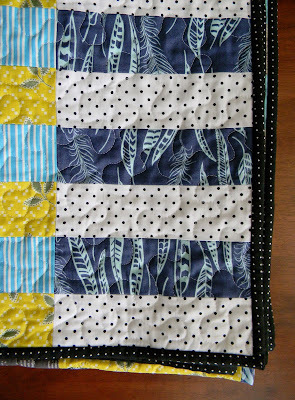 I've placed this quilt in my shop.